BETTY L. KALIS, Ph.D.; M. ROBERT HARRIS, M.D. ; A. RODNEY PRESTWOOD, M.D. ; et al EDITH H. FREEMAN, M.A. 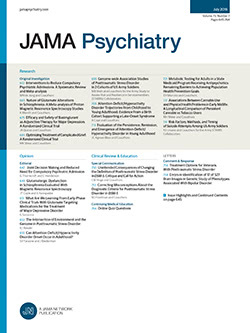 What factors stimulate the request for psychiatric treatment and how do these factors relate to the personality of the individual patient concerned? This paper directs its attention to questions regarding the stressful components of the motivation for seeking help. In this preliminary report of a 3-year investigation a concept of precipitating stress will be presented as well as a categorization of some of the precipitating stresses which have been defined in clinical studies.